Although it can sound a bit trite when someone says they have a real passion for something, I really do have a burning desire to capture on a canvas the things in our lives that make us feel more ALIVE. Art has a way of making us slow down long enough to see and even experience something beautiful or poignant or precious about life. I literally can’t wait to put paint (and a bit of my soul) on the canvas and for the next creative idea to materialize! I was attracted to art from an early age, inspired by the dramatic and colorful drawings in the comic books I collected (I especially loved The Flash and Batman). As a kid, I mowed yards so that I could buy my next comic book. That led me to drawing and painting. I started college as an art major and then moved into business and marketing. 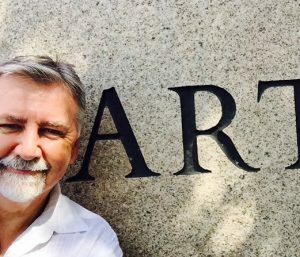 Fortunately for me, after a successful business career (largely in the health and fitness industry), I found my way back to doing what I love…creating art! 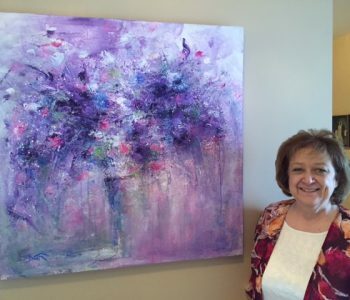 I’m hooked on vibrant color and bold, sweeping, powerful brush and palette knife strokes. 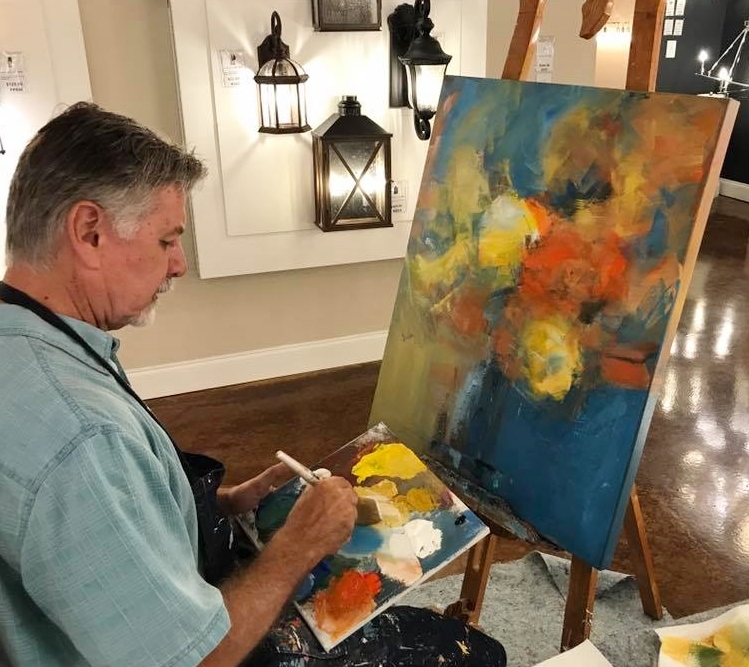 I’ve been influenced by abstract expressionist painters like Delaunay and De Kooning—movers and shakers of the action painting movement, a more freewheeling style of painting. I also favor impressionism, drawing from the masters Degas, Cézanne, and Monet. My style blends all of these at times. 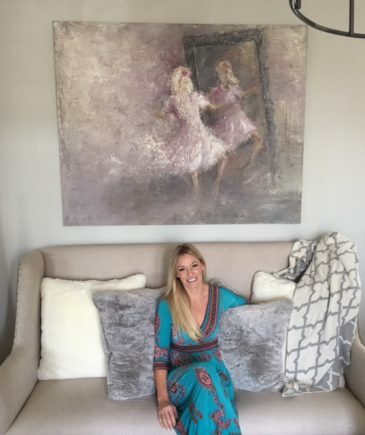 I’m always striving to bring a passion, drama, and fresh energy to my paintings so that they catch your eye from across the room. I also love to fuse music with my art. I play acoustic guitar and have done a fair amount of songwriting. 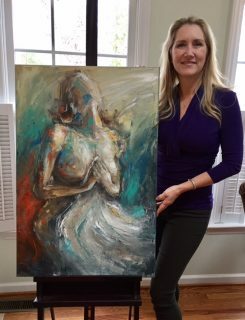 I listen to music when I paint, and I often connect my paintings to favorite songs. From rock, pop, blues, and classic tunes to progressive country, folk, and jazz, I can get as caught up in a beautiful melody as I can in an amazing piece of art. I believe art and music are incredible gifts from God that cross humanity to touch us all. Can you imagine life without them? 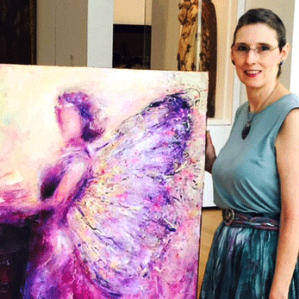 I’m especially jazzed when people can truly feel something in a painting, not just see it with their eyes. Blurring the lines is the signature of my work, with subjects partially clear but boundaries and details perhaps not so clear, allowing viewers to connect with their own imagination. So there you go. If you see something you like and want to chat further, give me a shout or send me an email. I ship anywhere in the world. 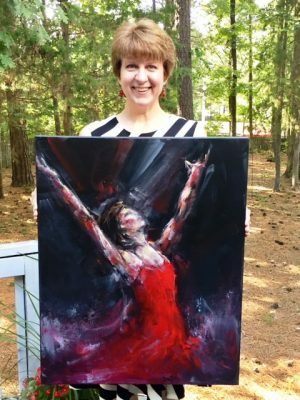 If you live in the Triangle area (North Carolina), I’ll be glad to deliver your painting and hang it for you. I guarantee it will be a one-of-a-kind original, lovingly created. 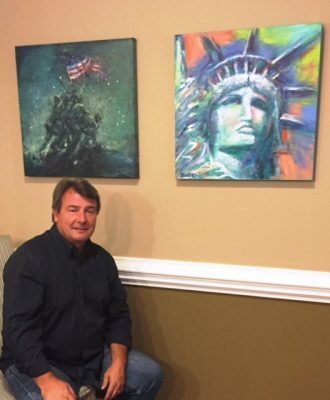 And if you like my work but don’t see the perfect painting for your home or office, it would be my pleasure to paint a custom piece for you, taking into account your precise colors and preferences. Thanks for stopping by my website. I hope you’ll enjoy it and share it with your friends. 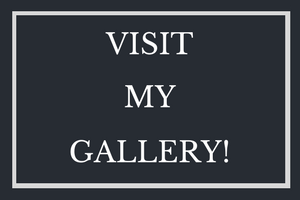 Have a glass of wine and some cheese, put on a little Jason Mraz or maybe some old Ray Charles or Aretha, and peruse my contemporary art gallery! Email dancampbell99@gmail.com, call me at 919-538-3539, or simply fill out the form below! Original art...make your home uniquely YOU! Dan, I’m so thankful for this lovely painting, titled “Unleashed”. You’ve captured the energy and emotion of a very special moment in my life. It represents the unleashing of my voice and celebrating a true sense of freedom. I plan to make this the cover art for my upcoming book! I wanted to let you know how thrilled I was when I came to work this morning and saw my wonderful painting as I walked through the door. 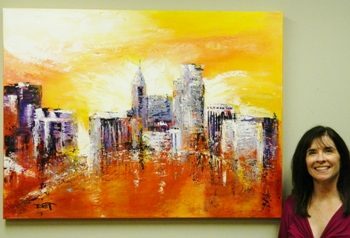 Not only did you create an abstract of the Raleigh skyline (since we manage buildings) but you incorporated all my logo colors into the picture. The textures and use of color are amazing. I couldn’t be more pleased..
My conference room needed some color and panache so I asked Dan to do something special. After stopping in the office and taking pictures of our existing color scheme, Dan produced an exciting piece that turns the heads of everyone entering our office. 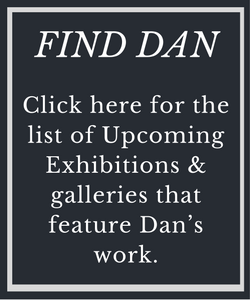 I have recommended Dan to many others who want a very special and original work of art.